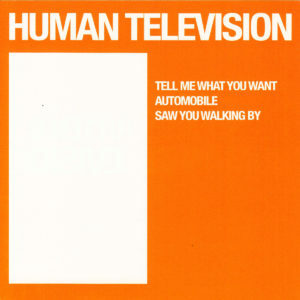 Human Television aim to evoke a feeling through the vehicle of a song by cleverly utilizing and manipulating the painfully obvious, yet often forgotten elements of melody, minimalism, repetition, and simplicity. It’s no accident that melody has been given close and special attention, as melody is the inexplicable characteristic that contains an ability to inspire euphoria, elation, joy, madness and anger. Orange contains a portion of the band’s first studio recordings.